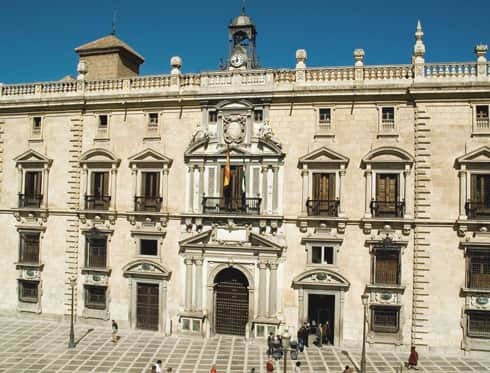 The Royal Chancery of Granada was the idea of the Catholic Monarchs, as they decided to transfer the Law Court from Ciudad Real to Granada. However, the present-day building must have been built about 1530, in the reign of Carlos V. The courtyard was by Diego Siloé, and the façade is shows an Italian ornate Mannerism style. Nowadays, it is the seat of the High Court of Justice of Andalucía. It stands out for its Renaissance style.